When Jen Landis isn't on stage as a dancer for the band Super Sparkle or jamming out with her band Mama Doll, she's often preoccupied with helping refugees in the area through her employer Global Neighborhood, a local nonprofit that aids in employment of refugees. Part of her job involves coming up with creative ideas to raise more proceeds for Global Neighborhood. Her most recent endeavor is a dance party fashion show on Friday, March 30, at the Bartlett. 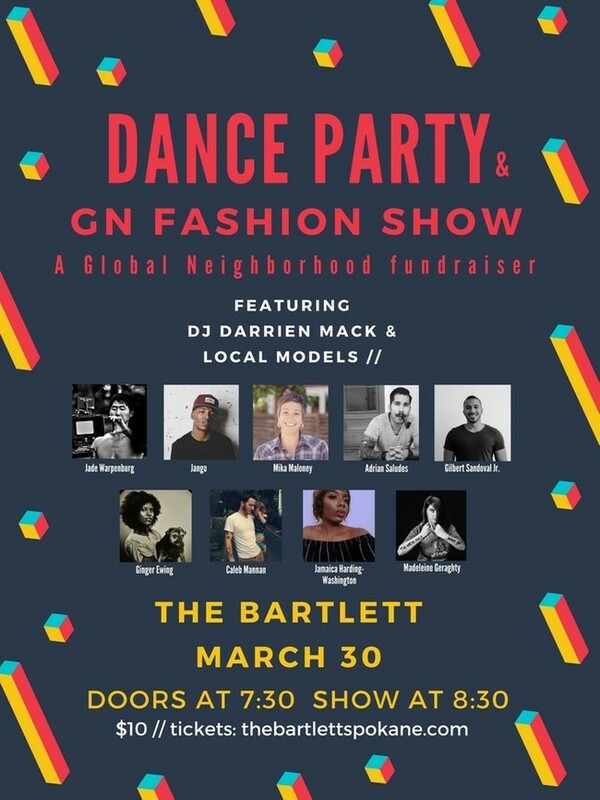 If you want to support Global Neighborhood in a tangible way — besides shopping at their thrift shop — buy tickets and show up to dance. Although Landis says there is no apparent theme for the show, everyone can expect a killer playlist. Drinks and snacks will be available at the open bar. The models strutting are all locals whose style Landis admires for one reason or another. Most fashion shows have a designer whose work is showcased, but here the models have more liberty and autonomy. Their task is to put together an outfit from Global Neighborhood Thrift. Landis will play the role of emcee and host, as she'll be making a commentary about the models' ensembles. The runway portion will run for a half hour and then everyone can groove to the music together. Landis explains that two-thirds of GN's operating costs are covered through the thrift store and the remaining third comes from fundraising. The money that's raised will go towards keeping the store open, such as paying rent and salaries. The aim is to also raise awareness of Global Neighborhood and local refugees. "We want to expand the knowledge of what refugees are going through — that they live in this community, and that they're as much of this community as anyone else," Landis says. 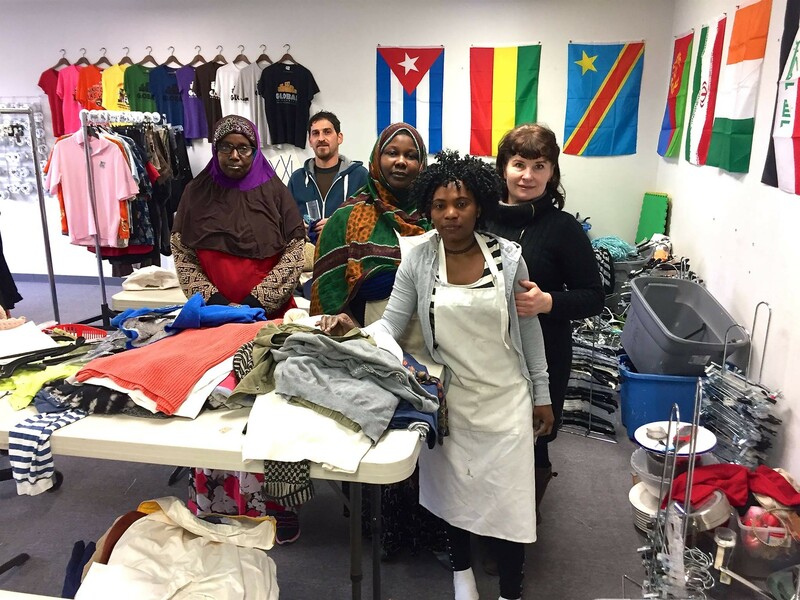 Refugees employed at GN are usually on a six-month employment duration, or a job training program, while they take ESL classes. Most of the employees at GN don't speak English. Having experience at GN prepares them for other jobs by helping them build various skills and understand workplace customs and dynamics. Sudan, Somalia, Ukraine, Syria and Afghanistan are just a sampling of the countries where the refugees at GN come from. Landis wants to encourage people to imagine life as a refugee by mentally putting oneself in their shoes and trying to fathom what it would feel like to leave one's life and home country behind, especially not of their own volition. "There are just refugees who are fleeing for their lives. That's what we would do if our country was under attack. We would flee for our lives with our families, and we would hope to be welcomed wherever we could find safety," Landis says. "A great analogy someone told me was 'What if your neighbor's house burned down and they needed help?' Would you say 'Get out of here?' No, you wouldn't. You'd say, 'Come in. What do you need? How can I help you?' But they [refugees] are our neighbors. They just happen to be further away, but they are just as much like your neighbor living next to you." The doors open at 7:30 pm on Friday; tickets are $10. Head here for more details.